Adopt far infrared heat effect principle, make atom and molecule of human body cell vibrate together to form thermal effect, accelerate blood circulation and metabolism and organism regeneration capacity. 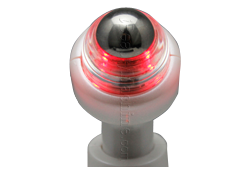 The 360 rotate roller ball can accelerate blood circulation, improve human body physical magnetic field, relieve fatigue. Red light acts on wrinkles and aging skin. 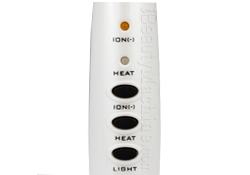 LED light, Negative Ion, Heating, Roller massage. 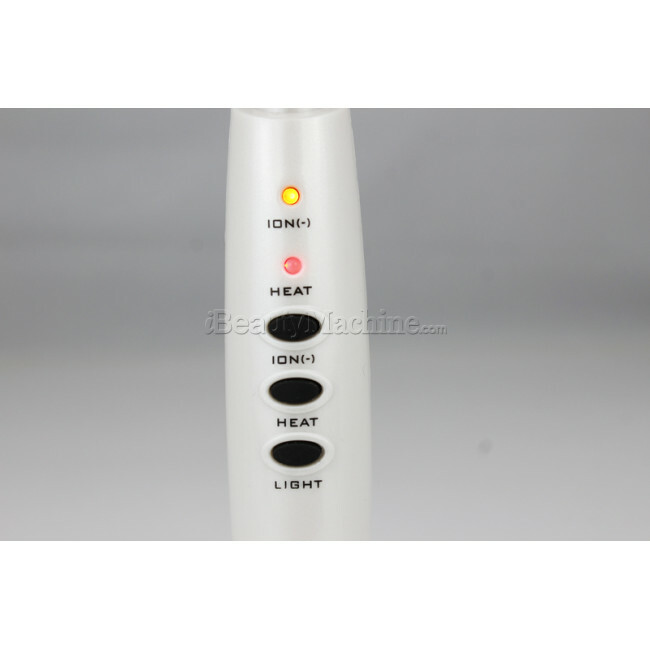 This product adopts LED phototherapy, Galvanic ION, thermal radiation and Massage therapy in one single device. It can make atom and molecule of human body cell vibrate together to form thermal effect. It can accelerate blood circulation and metabolism and organism regeneration capacity. 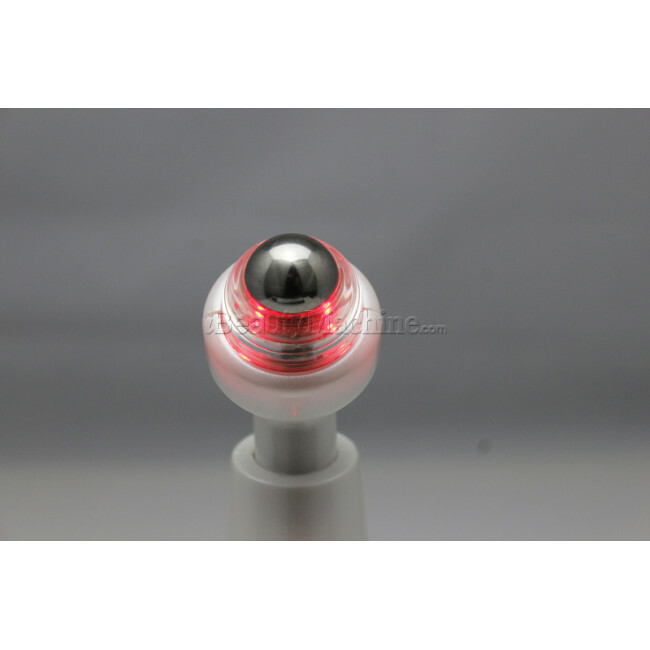 The 360 rotate roller ball can accelerate blood circulation, improve human body physical magnetic field, relieve fatigue, it can help muscle and nerve relax. The red light irradiated by Negative Ion Eye Care system is suitable for any type of skin; it can reach derma to stimulate fiber cells. Heating can improve blood circulation and collagen albumen hyperplasia to reduce wrinkles and make skin more elastic and smooth. The mild wavelength is suitable for surrounding eyes. Mechanical heating has two temperature setting 45 centi degree and 50 centi degree. 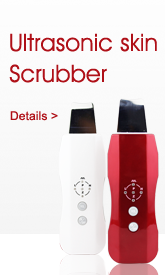 It accelerates blood circulation and lymphatic drainage. It can also improve skin tone and texture greatly. Warning: The main treated area is upper eyelid and lower eyelid,do not use the machine on eyeball. 1. To which problem of the eye can Negative Ion Eye Care system be applied? 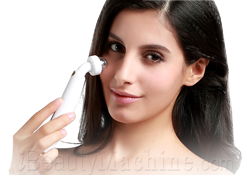 The machine is suitable for the one who is puzzled by pouch, dark circles and crow’ feet. 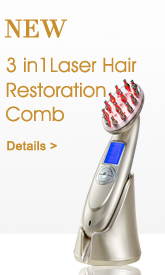 You can achieve good treatments with this machine. 2. How long can you use the machine every day? It is recommended that use the machine for about 10~15 minutes every day. 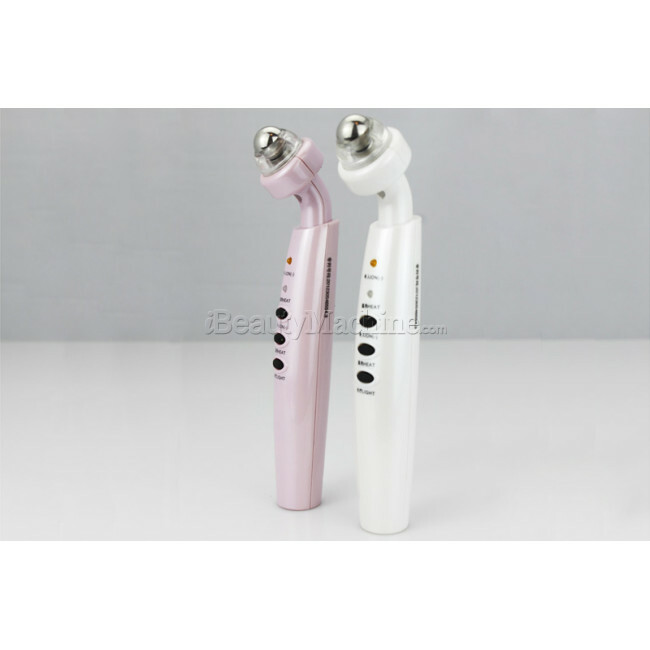 If you insist to use the machine, you can reach the best treatments. 3. Is it convenient for you to operate the machine? Yes, absolutely it is. The machine is very simple, light and handy. It is very easy for you to operate the machine anytime in anywhere. 4. What is the function of the machine? 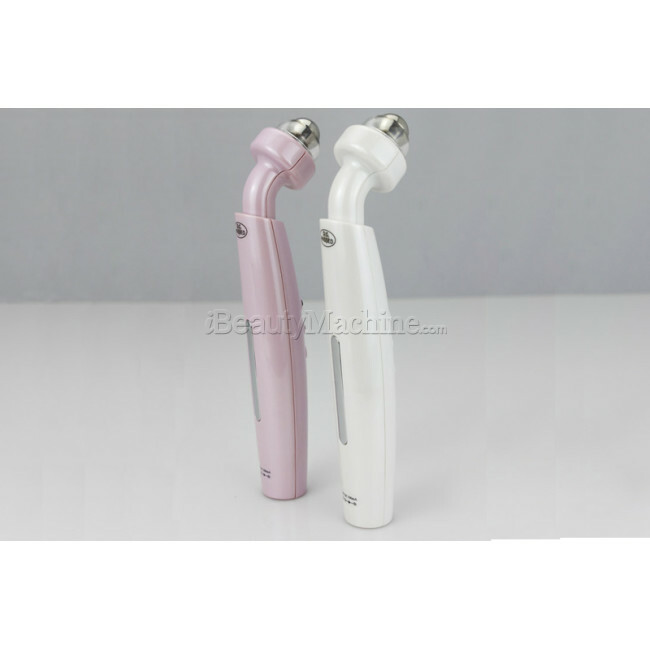 The machine has six functions: dark circles and Crow’s feet removal; Detoxification and decompression; Edema removal; Pouch removal; Beauty product conduction. 5. Should you use the machine with the eye cream? 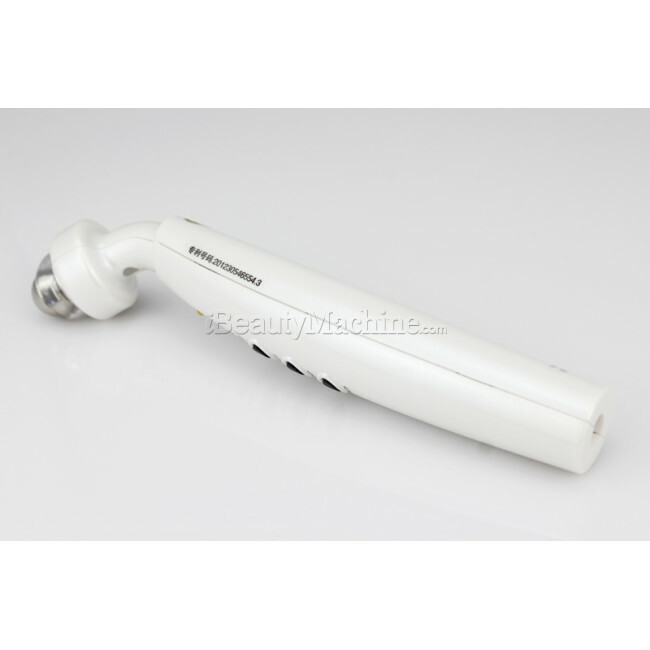 The machine can make eye cream penetrate the deep skin easily, so you’d better apply Eye cream or eye essence when you use the machine. *I just received my machine yesterday and used it last night. I love it. The treatment is warm and comfortable. I think I made an excellent choice and I am looking forward to seeing more improvement in my dark circles. 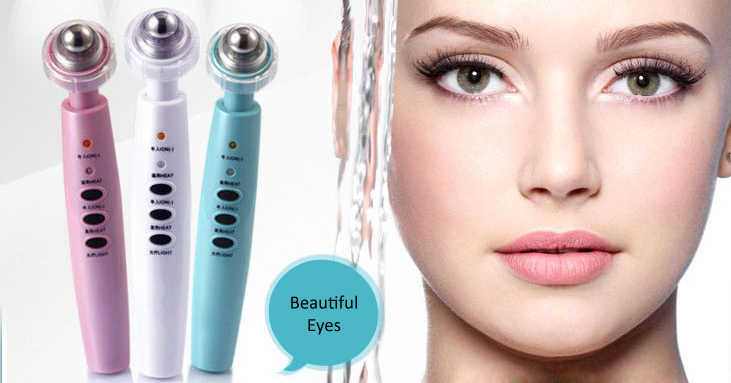 *receive the device very quick, in good condition, expect can help remove my dark circles, they suggest me apply the eye cream before the treatment, this device can help the beauty product conduction. 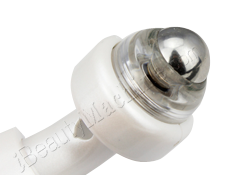 *receive it very quick, little great eye care device, effective on my dark circles. have used it for 2 months. *We have been using it only for a month, and see wonderful results. 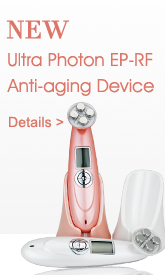 Highly recommend this device to anyone looking to remove eye wrinkles. 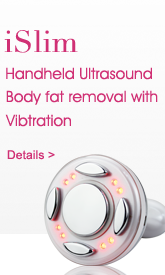 *I've been so pleased with the effectiveness, This device really does deliver results. FANTASTIC product, and great customer service. 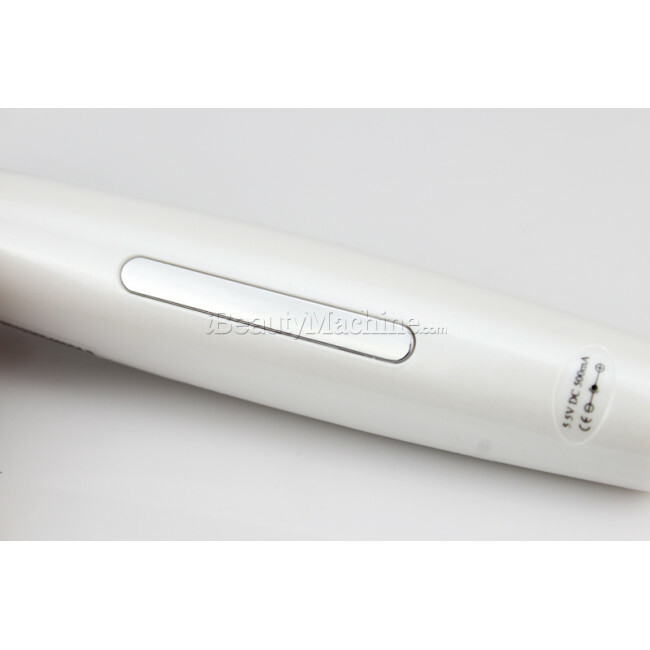 *The device works great, convenient to use, my eye bags has faded stepp by step. Thank you. *I chose to use this roller because of the dark bags under my eyes. I use it twice a week (for one month) and I have indeed noticed a change. The bags under my eyes are slowly starting to fade. This is the only beauty product that has ever given me results. *Encourage me to write this review because this product really works. I start using it, one month ago, weekly and have seen a reduction in the appearance of my eye wrinkles. *You know I was nervous to try out the product you were recommending. And I came to you wanting specific help for under-eye dark circles and instead you gave me so much more. And I can tell you without a doubt, at 50 years old, my skin has never looked better. this is absolutely amazing! *It's very easy to use, the instructions that come with it are very helpful. I've used it a few times around my eyes. In the morning after I have used it my skin looks great! I can't wait to see even better results as I keep using it. *Very fast shipping! got it at a great price! Thanks! *I have only used it twice but, I can say from those two experiences that I really like it. *I can see big improvement on my Dark circles. I recommend it. the key point is that you can't keep moving the device back and forth, you have to stop in each area until you feel the heat, then move to the next spot. *It's a nice product, and the delivery was really quickly. *Been just few weeks using it every few days, I have noticed my skin looking clearer, always had dark circles under my eyes and it seems like they are getting lighter. Its a 4 just because I need more time to tell. I will be adding it to my options for clients to try. It really does everything it states. I am very pleased with the quality of the product. *¿Has estado sólo unas semanas que lo utilizan cada pocos días, he notado que mi piel luzca más clara, siempre tenía círculos oscuros bajo los ojos y parece que están recibiendo más ligero.